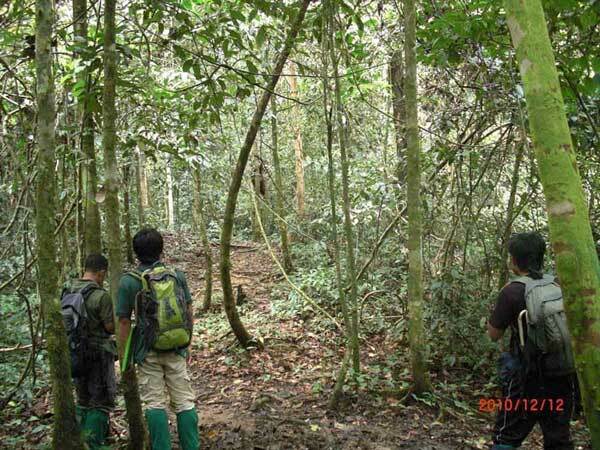 We conducted field research on orangutans during rainy season between 7th and 15th December 2010 in Danum Valley Conservation Area, Malaysia. We were tracking wild orangutans, flanged male (Abu) and mother (Beth) with baby (Lom) and her juvenile (Kahi) in 4 days. At for camera trap, we collected 40 camera traps that set up in last survey, July. 27 of the camera broke down by rain and moisture during 6months. 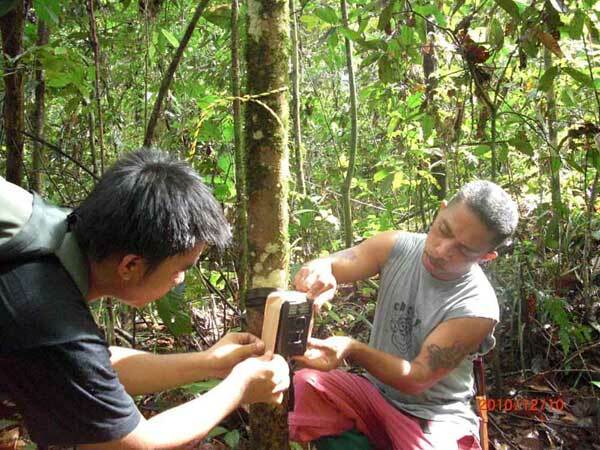 Then, we dried and repaired all cameras, we set up 20 automatic camera traps again.